Dandelion has been appreciated since ancient times due to its amazing health-promoting effect. The botanical name “Taraxacum officinale” is derived from Greek and means “Heals Inflammation”. In Estonian folk medicine, dandelion has also been called “Lifeblood”, since it cleanses the body from waste products and negative energies. Due to its cleansing effect, dandelion is also called “Blood Purifier”, “Liver repairer”, and “Fatigue Precursor”. The bitter and root substances of dandelion are extremely beneficial for the body, as they help food digestion by stimulating the activity of the stomach and digestive glands. Dandelion is richer in nutrients than any vegetable. For example, it contains various acids, sugars (e.g. inulin), minerals such as iron, zinc, boron, calcium, silicon, especially potassium, and vitamins A, B, C, and D that are required by the body. The roots contain many beneficial substances that strengthen the body, such as 10% glycoside taraxacin, up to 15% protein substances, inulin, bitter substances, unsaturated acids. 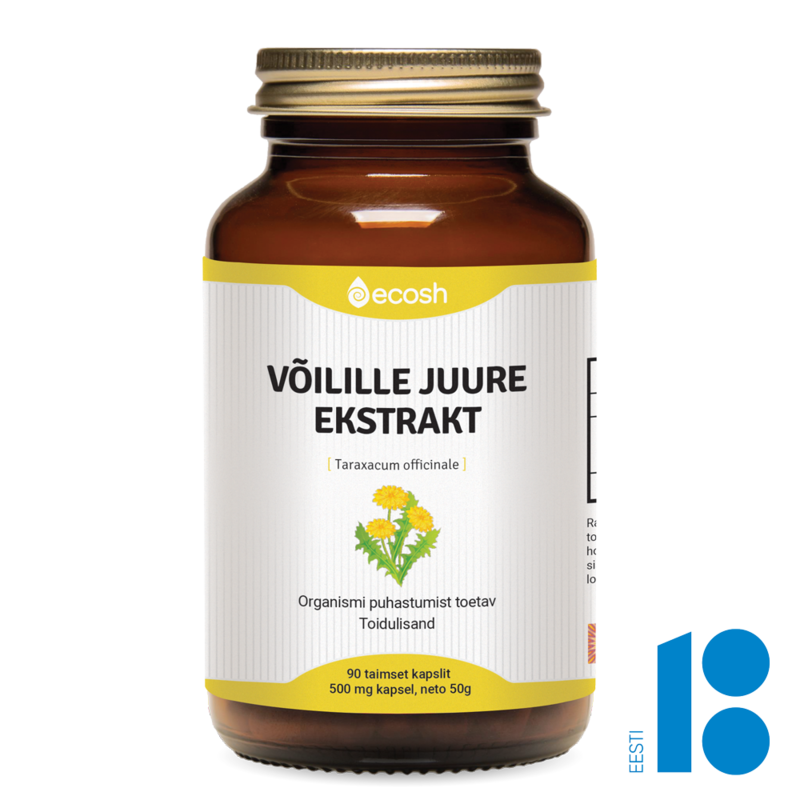 Ingredients: Common dandelion (Taraxacum officinale) root extract 4:1, Common dandelion (Taraxacum officinale), vegetable capsule (hydroxypropyl methylcellulose). Directions: 2 capsules a day with food, according to the recommendation of a therapist or a doctor. Take with water.